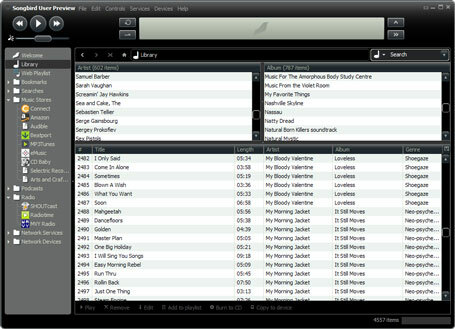 Songbird, the eagerly anticipated new media browser and web player built on the Mozilla (Firefox) engine, will launch (for Windows) later tonight or this morning (unless it doesn’t, CEO Rob Lord tells me :-) ). Mac and linux will come later. Exclusive screen shots are below. 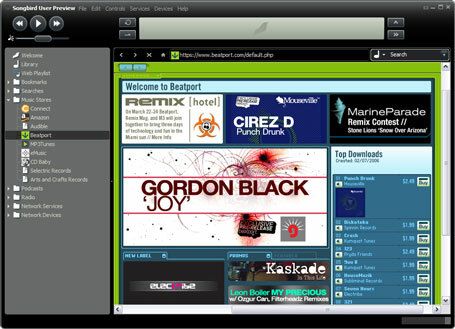 Since songbird is a web browser in addition to a media player, user will be able to browse web sites. If audio files are embedded in the site, they will be displayed separately and can be played, downloaded, included in playlists, etc. 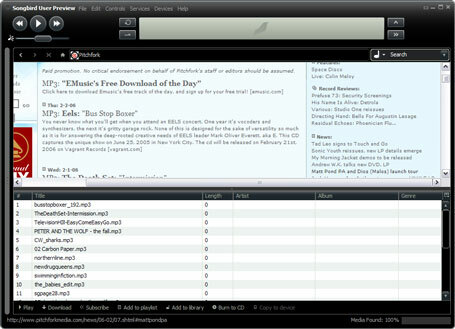 Initially supported formats include MP3, AAC, WMA, OGG, FLAC and others.